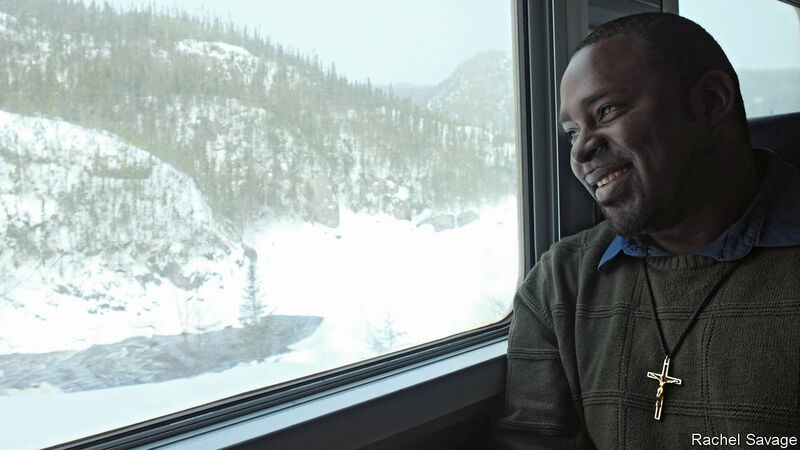 Every two weeks Ali Nnaemeka, a Roman Catholic priest (pictured), travels between Sept-Îles in Quebec, Canada, and a remote mining town, Schefferville, 355 miles (570km) to the north. The trip, usually by train, takes at least a day, sometimes longer. It requires cutting through a mountainous river valley and travelling past flat lakeland, frozen for much of the year. It is a bleak, monotonous journey. But it is worth the trouble. Mr Nnaemeka, who spends most of his time as a parish priest for two indigenous First Nation communities, is on a mission from God.